Thank you bug guide! Smith Cemetery, Union County, Ohio, this past weekend on a field trip for the Midwest Native Plant Conference. Male- indicated by the long feathery antennae. Love this photo! You did good Tom. 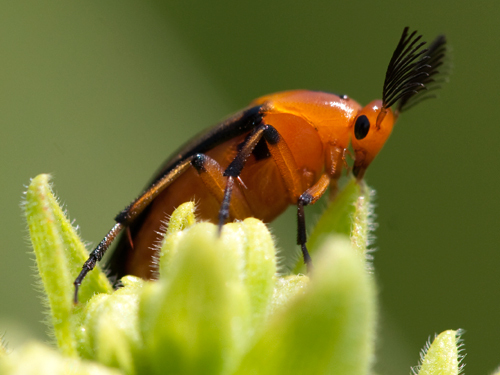 That beetle is way too fancy to have been named simply Wedge-shaped Beetle. Neat beetle you nailed the composition and focus on this one. Very cool beetle, Tom! Love the feathery antennae. That is one odd, but beautiful beetle. Great shot.